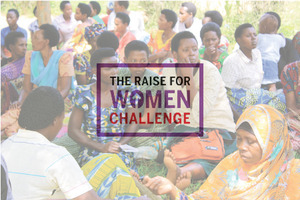 Indego Africa is thrilled to announce our participation in the Raise for Women Challenge! This challenge is a fundraising campaign launched by the Huffington Post, Skoll Foundation, and Half the Sky Movement with a focus on organizations that empower women around the world. The organization which raises the most money throughout the Challenge will receive a $25,000 prize from the Skoll Foundation. Second place receives $15,000 and third place receives $10,000. We need your help to win that $25,000 prize! Every donation makes a difference, no matter how small. Take it a step further and visit the page above and click 'Create Your Fundraiser. 'In seconds, you'll have your own fundraiser that you can share with all your family and friends so that you can raise money for Indego Africa too. Don't forget to spread the word! Forward this email to friends and family or tweak these updates to share on social media!